There were drawings of hands in action — fingers so delicately sweeping pale fondants through luscious melted chocolate, the thumb and index finger so fastidiously holding a Brazil nut over a gleaming copper kettle. I glanced at my hands. Could they capture my dream? 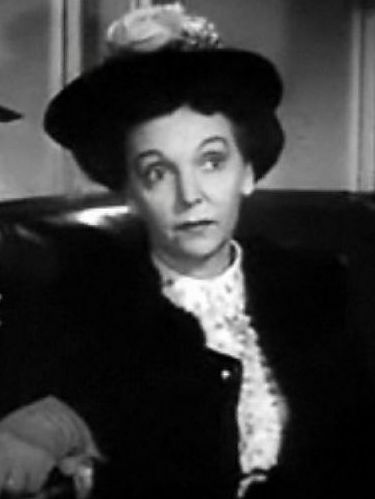 ZaSu Pitts in Tish trailer. Public domain via Wikimedia Commons. Other recipes display similar charm. Fondant is “as basic to a candymaker as the ‘little black dress’” is to a traveler. For Chocolate Fudge, Pitts cautions against using a kettle that is too small, warning that “an absent-minded candymaker can find her syrup boiling all over the range if the telephone rings or if she starts reciting the last act of The Bat,” a dark-house-mystery play in which Pitts’s character claims to have seen a caped man prowling the stairs. I would have loved to hear her recite those lines, or to see the candies she made as history lessons to honor Washington, Lincoln, and Franklin — molded marzipan heads mounted on chocolate plaques. Pitts made her confections in her beloved kitchen, whose layout she’d devised with the architect Paul R. Williams when he designed a new house for her and her husband in 1936 (Williams went on to design LAX in 1960). Located in LA’s Brentwood neighborhood, the house was Georgian in style, with seven bedrooms and eight-and-a-half bathrooms. But the kitchen was the real showpiece. It had built-in shelves to hold Pitts’s extensive cookbook collection, and plenty of space on the walls to hang the decorative molds she collected. In addition to a stylish black-and-white enamel stove, the kitchen featured a brick oven. But what made the room truly extraordinary was its shape: it was completely round, with a round central island where Pitts could display her confections. This coconut candy is rightly named — the recipe is my greatest treasure. The candy is so delicious it should be kept under lock and key. It also improves with age when kept in a tightly covered tin. I pack it in pretty metal-hinged boxes I found in a ten-cent store, and they simulate a pirate’s chest. Grate coconut meat; in heavy saucepan mix with sugar and coconut milk. Blend thoroughly. Place on a very low heat. Cook gently until mixture becomes thick and heavy. Stir gently from time to time. You can test it by dropping a spoonful on waxed paper — if it holds its shape, it is done. If it is cooked too fast it may scorch and change color. Allow for time and patience. When it is done, add the vanilla. Drop by teaspoonfuls on waxed paper. Let stand till hardened. Pack your treasure in suitable airtight tins and await the battles for your loot! Headline Image Credit: SugarDiamonds1. Photo by amp2. Royalty free via Freeimages. 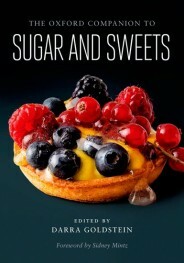 Darra Goldstein is the editor of The Oxford Companion to Sugar and Sweets. She is the Willcox and Harriet Adsit Professor of Russian at Williams College, having earned her PhD in Slavic Languages and Literatures from Stanford University. She combines her love of literature with a passion for food studies, a field she helped pioneer by founding Gastronomica: The Journal of Food and Culture, which has been called a culinary New Yorker for its incorporation of photography, poetry, and art alongside thoughtful articles on all aspects of the foods we eat. She serves as the Series Editor for California Studies in Food and Culture (UCAL Press) and the Food Editor for Russian Life magazine. Goldstein is also a prolific author who has written or edited thirteen books, including four award-winning cookbooks.